Weather has always held my interest. Probably because the weather in Colorado changes so quickly, and is so varied, due to the Rocky Mountains taking up half the state. Being an avid outdoorsman, I wanted to watch the weather patterns, so that I would have an idea of what to prepare for. These pages were designed for the Colorado Paddlers' Resource [CPR], so that folks could get a very quick overview of what the weather was doing around the state. 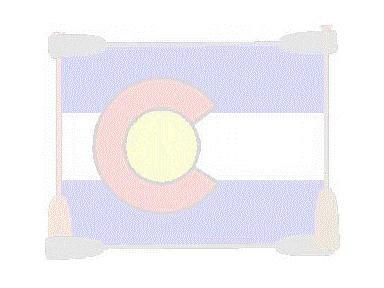 Colorado is very large, and it is possible for it to be 80oF in Denver, and snowing in the mountains. Here are the webpages I have put together, so you can watch the weather "happen before your eyes." The overviews, the combination, and our family weather pages use small files from the "Weather Underground." Click any of the links for the weather in your area, and there is a link near the bottom of the page for "Get Your Weather Sticker" and it will give you the code to use in your own webpages. The "stickers" look like the one below. Any of those webpages will load in less than 2 minutes on a 28.8Kb Modem. The radar ones will take much longer on a dial up connection, but still less than 5 minutes. The Fort Lupton page takes about the same. If you have a broadband connection, they'll load almost as fast as you click on them!! The Fort Lupton Weather Magnet below is from "The Weather Channel." Their website will also generate free "magnets" for you to put on your own website. Copyright ©2001-2051 by mark zen . All rights reserved. This file was last modified 04/08/2005.